When London is kissed by the sun, there are fewer places in the world that I would rather be. Sadly, we seem to be in the midst of one of those summers where the seasons in colour is grey and dappled with rain. Thing is, when the weather does take a turn for the better, there aren't many better places to be than on a sunny rooftop, eating, drinking and being merry.I'm not sure how I did it, but I managed just that, two sunny days in London, two rooftops and excellent times. So you remember those Pizza Pilgrim boys, you know, the ones who gave up their jobs in media, rode round Italy in their little Piaggio Ape, and now peddle their wares on Berwick Street? Yeah, them. 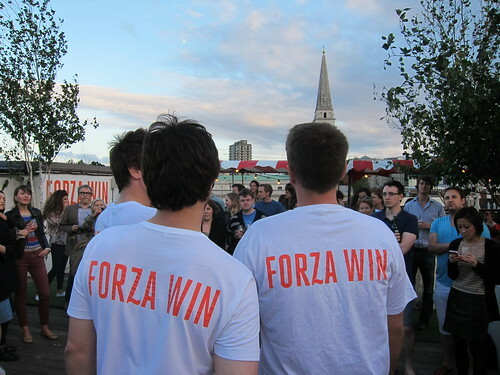 Well, they've decided their little mobile pizza oven just wasn't enough and in conjunction with "Bash" Redford created a little rooftop supperclub under the moniker "Forza Win". 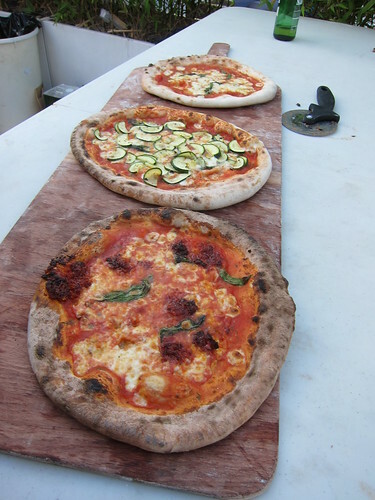 With a family style approach, you will be getting ragu, sorbet, Aperol Spritz and of course pizza. With a little bit of luck, you may even receive a dash of that elusive sunshine. I was invited up for a little advance party/trial run, and had a rollicking good time. Get yourselves booked in soon before it's too late. 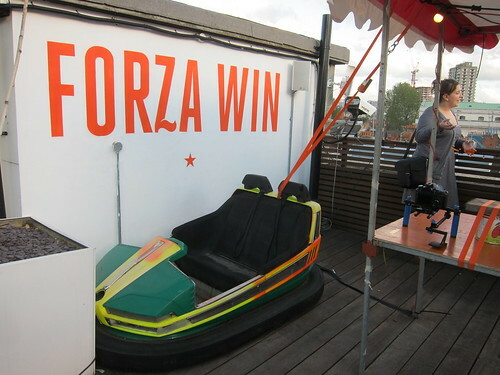 Forza Win - A rooftop in Shoreditch somewhere. 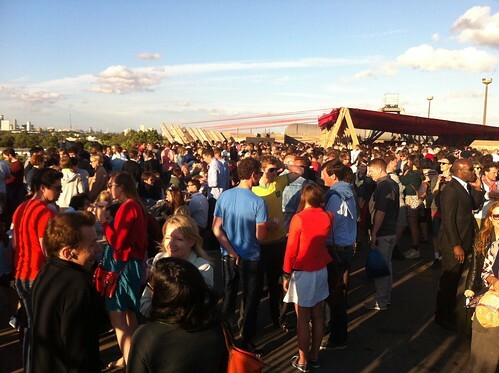 On the other side of the river is yet another rooftop which has definitely grown in popularity over the last few years. 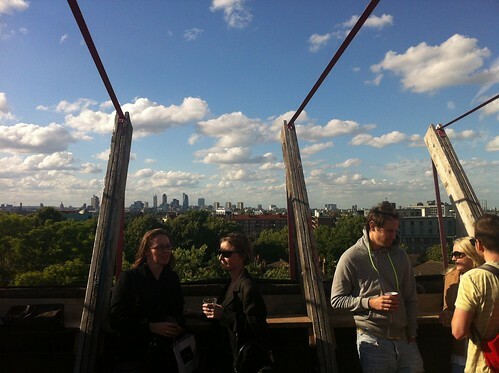 Last weekend, Franks Campari bar (based on the tenth floor of a Peckham car park) opened it's doors for business once again and will be sticking around until it's far too cold and wet to be prancing about on an exposed rooftop. It may not be the easiest place to find if you have never been there before, but head to the Peckhamplex and follow the red line. This will start you on an adventure down an alley, up a flight of stairs and then through the upper floors of the car park. Head past the strange exhibits and impromptu performances (weird vocal choir on my last visit) and keep going up until there is no more up to go. I decided to trot along on the first day and not only was I blessed with glorious sunshine (who'd have guessed it?) 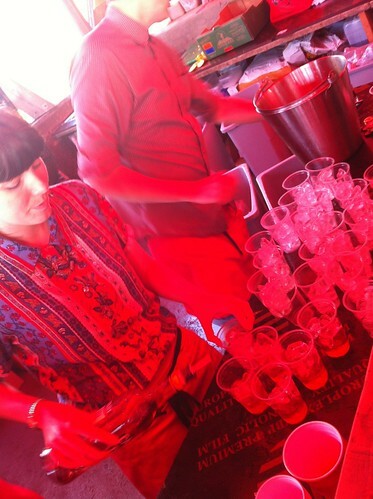 but also free Campari and soda. Perfect day? Not far off it. Chatting and drinking, we started chatting to a few people around us, a conversation which would eventually lead to a random party/screening in Loughborough junction for some of our crew. Going forward, they will be doing food as they do every year, but on this first night, McDonalds across the road had no idea what had hit them. Take 2 saw me on another random visit a week later. Not only did I bump into a whole raft of people I know, I also bumped into a few from the random encounters a few weeks later. A few drinks, a few bars later, and we were back at my flat dancing around to dancehall classics in my front room. Franks seems to have that effect on people, and for some reason, I can help but have an excellent time come rain or shine.